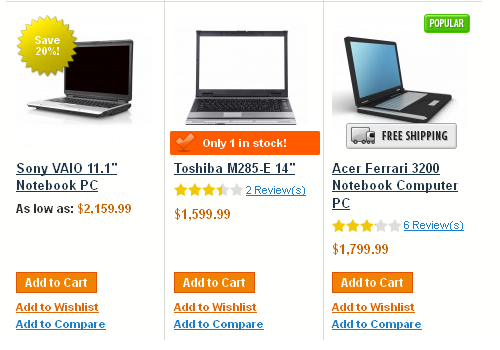 We offer you to bring consumers new online shopping experience focused on emphasized offers. 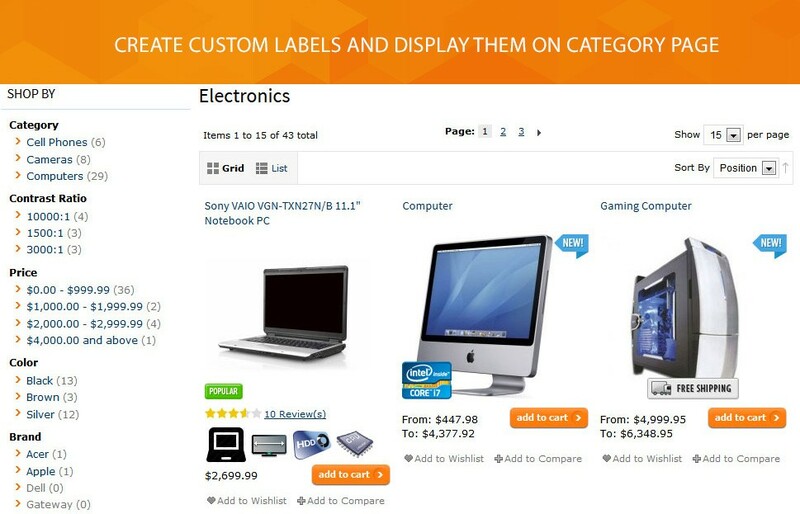 Use our Magento product labels extension as a guide to help your customers see special offers and new coming products first. 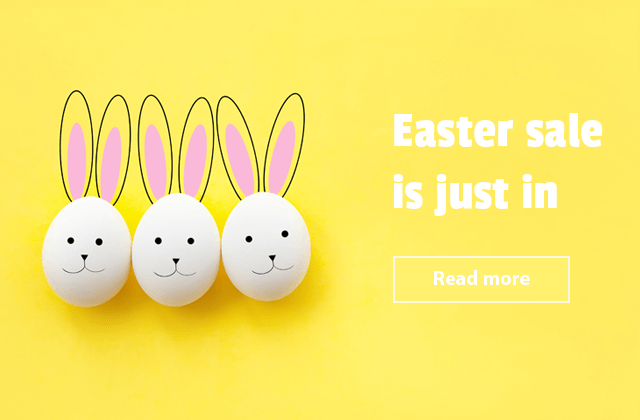 By highlighting items with appealing and call-to-action labels you would easily attract more clients, increase store traffic and improve your e-commerce conversion rate. 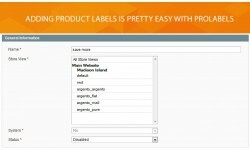 Make products stand out from our Magento product labels manager. Our module contributes to the advanced promotion of your Magento store products through adding temptingly looking labels. Create an awesome label, assign it to specific store offers and customize the whole product look in a way your customers couldn’t catch sight of. 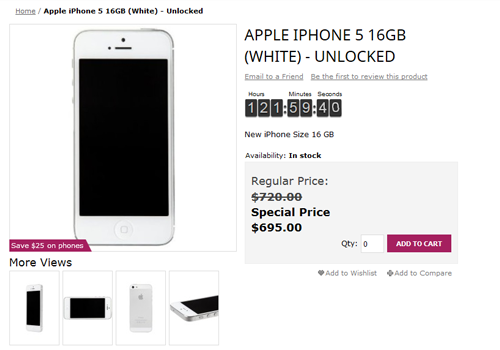 You can use labels based on predefined rules in order to show new, on sale and items in stock. 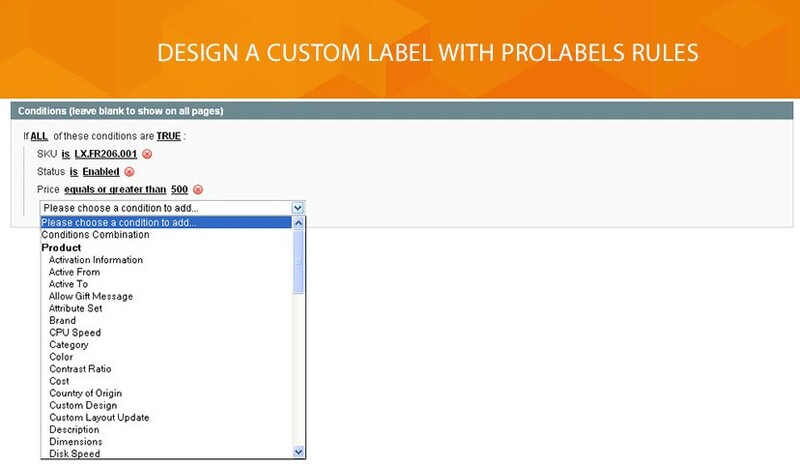 ProLabels will also help you to invite visitors with unique custom product labels focused on product’s properties. 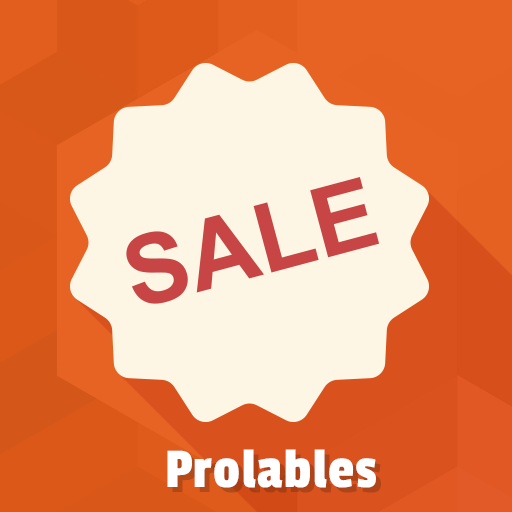 Choose ProLabels as the most effective tool for showing discount. Say you do have the special price for every visitor! Within configuration, you can select the position of the label and set up the date and time for display. Save your time and get automatically calculated discount percent. You can use up to 3 algorithms of computing rounded unit provided by the extension. Let your customers discover what's new now. We offer to show the New label or create the custom one. It’s easy to pick up the image and font style of label, specify the image text using special extension variables. 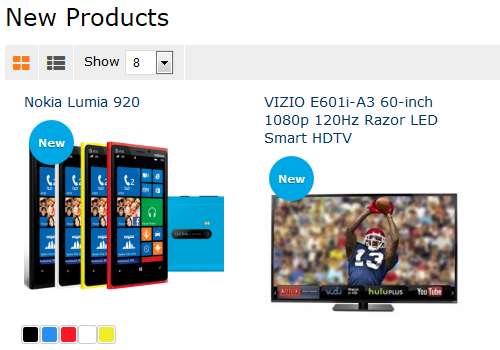 One thing left is to set the display either on category or on the product page. Take care of your customers. Help them to find out if the products are available in your store or not. 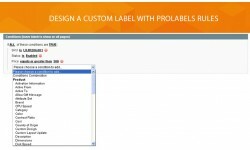 ProLabels allows you to display the label for low stock items as well as to enable Out of stock status. Customize the label by setting up the position and position style. Up to 9 predefined labels positions are supported. You can also change the image and image text, font style and computing round method. 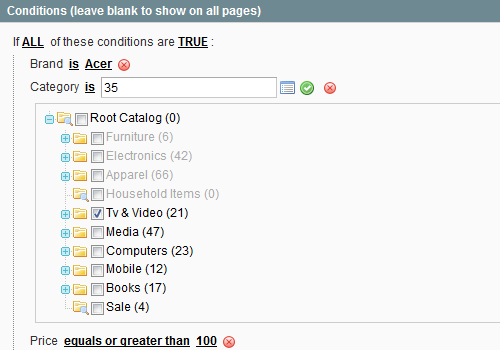 The module enables showing labels based on product quantity that is specified in the backend. Get custom attribute label with our extension. We offer to feature the label by highlighting product attributes. You can easily create the brand label or another one by choosing various conditions from the module’s interface. 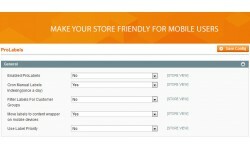 Multi-store Magento feature is supported. 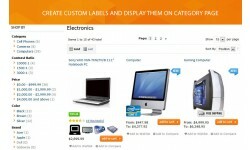 The module allows you to add labels separately to fit each one Magento store design. 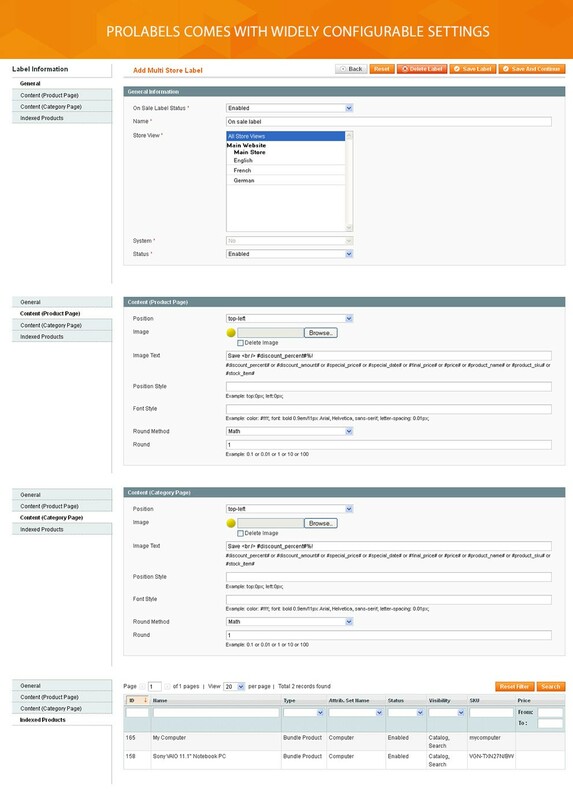 Moreover, you are allowed to filter the labels’ display for specific customer groups. Why not make the promotion more effective. 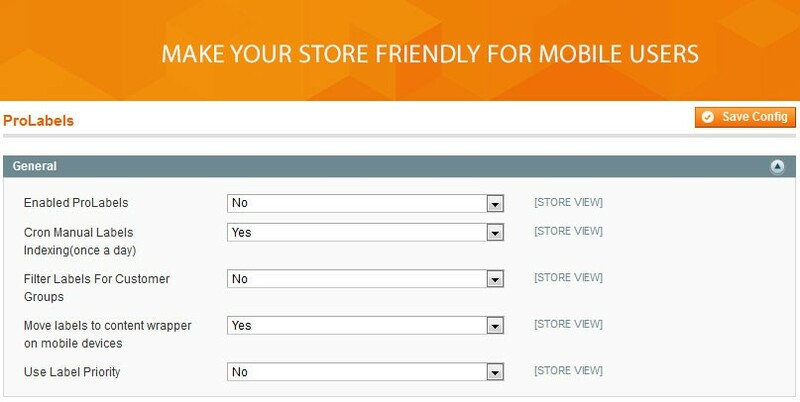 Make your store perfect for mobile users. 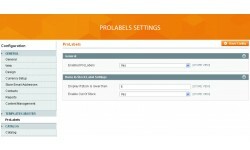 ProLabels provides the display labels in a content wrapper. Smartphone or tablet detection is based on user agent string. 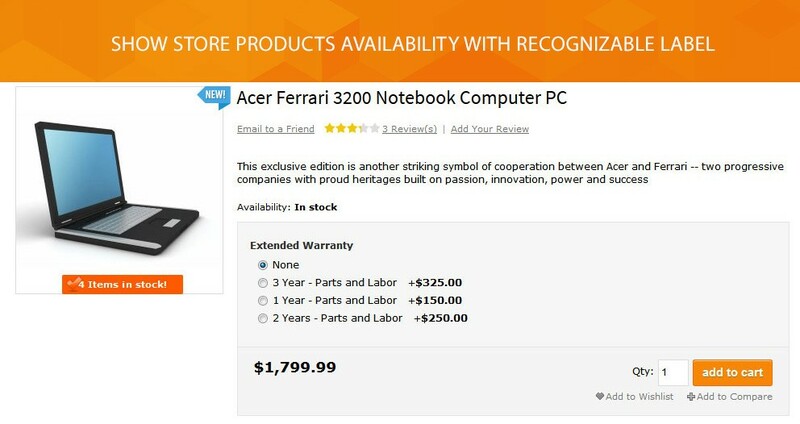 You can add labels both on category and on product pages and show them in tooltip during hovering over the product image. Our module comes with flexible tooltip section that allows you to configure the background and text color for each label. 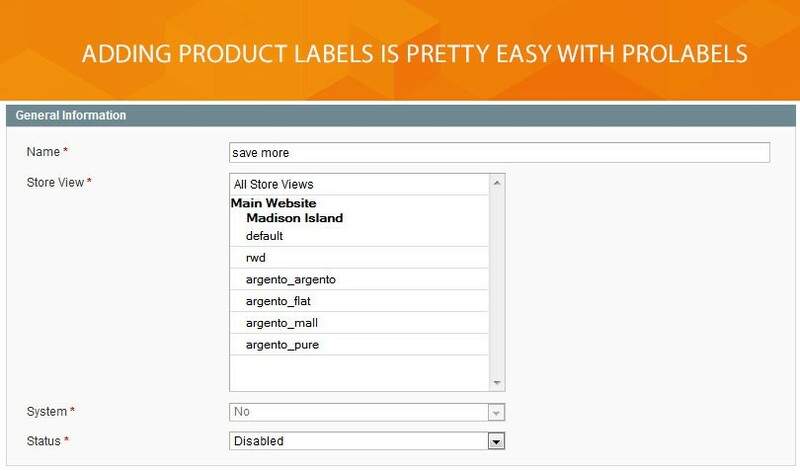 ProLabels comes with the powerful tool that covers stores with a large number of catalog items. Provide your store with smooth functioning labels. 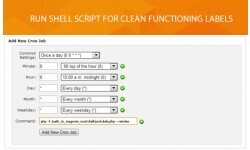 Simply run Shell Script by using a command line or setting up cron and get updated labels indexes. We bet it will be easy and beneficial for you. No connecting to web host max_execution_time settings. 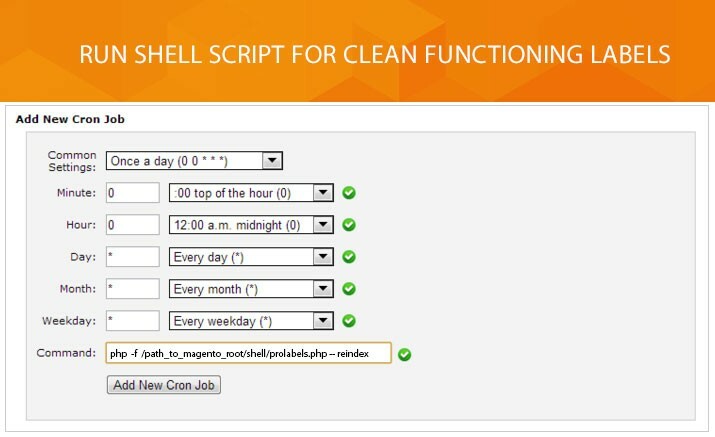 Running only with PHP without the request to web server. Our extension is tightly integrated with Magento Daily Deals module. 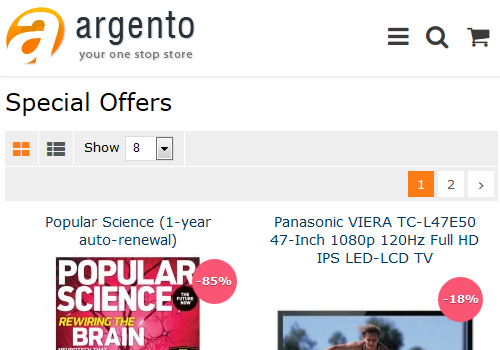 Highlight hot daily or weekly offers by adding the striking label. Fix Integrity constraint violation error for manual labels when Customer Groups filter is enabled. Use unified image uploader from TM Core in admin interfaces. Added new position for label - ‘hidden’. 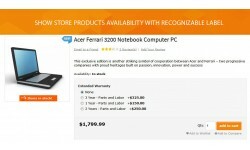 With this position you can hide label on product page or category page. Escape quotes in lable's title. Prevent label wrapper from stretching out of parent container. Significant code cleanup and code improvement. Fixed missing labels when enabled option ‘Move to content on mobile’. Do not render empty container for content labels if there are no labels. Fix notice “Undefined variable” when stock labels render. Include Mobile_detect lib only if it is nessecery. 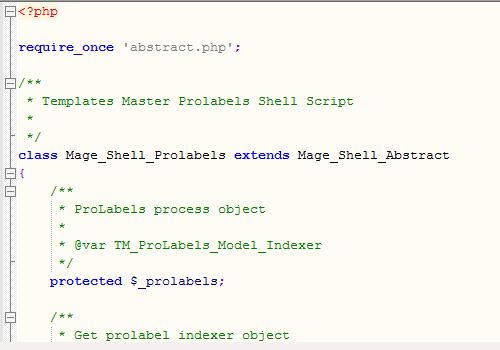 Image validator added for Magento 1.9.3.3.